A classic and elegant women's cloche hat. 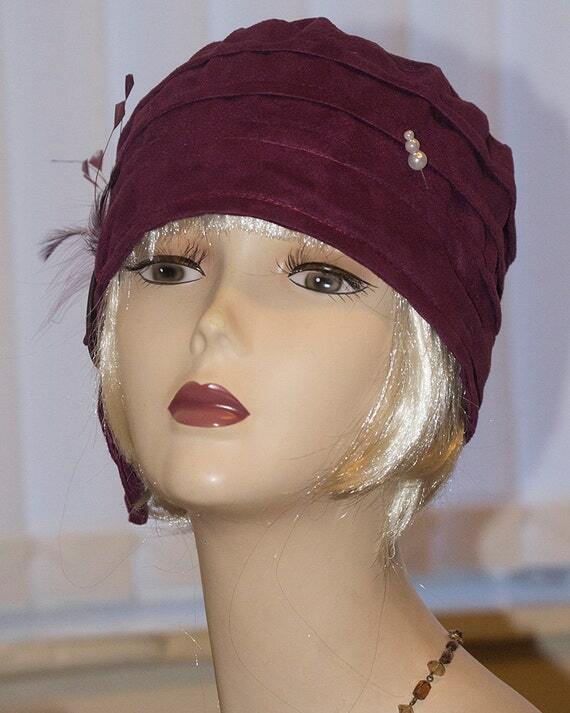 It is made of very soft Faux suede in beautiful plum colour It's a classic shaped cloche hat with a small belt brim with a classic vintage buckle and comes with its own pearl head hat pin its a ideal hat for colder autumn and winter days. 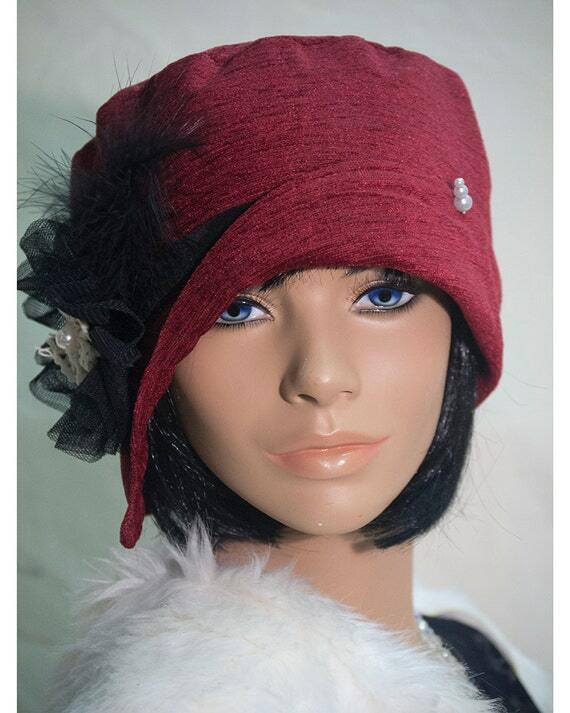 This style hat has decorative feathers to the side is also lined the size is 22.5" to 23"
A perfect finish for your special outfit whether its a once in a lifetime trip on the orient express,or an Agatha Christie, Modern Millie, murder mystery weekend,or just because you love the style and elegance of the 1920's look. items, props and set dressing for films,drama groups, photo-shoots and shop window displays. Gives that "Downtown Abbey" look and to the serious 1920's re-enacting promenade and fancy dress costume and will add that extra detail and 1920's elegance to your Vintage Vehicle and passengers when attending Classic Car rallies. items, props and set dressing for films,drama groups, photo-shoots and shop window displays. Gives that "Downton Abbey" look and to the serious 1920's re-enacting promenade and fancy dress costume and will add that extra detail and 1920's elegance to your Vintage Vehicle and passengers when attending Classic Car rallies.